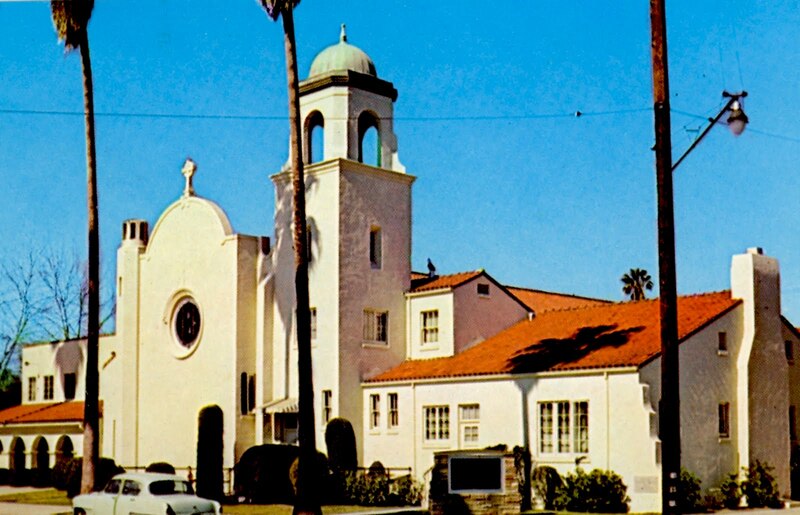 Aside from the languages in announcements, and the models of cars, the Central Christian Church in Van Nuys doesn't look all that different than it did in the historic postcard at the top. 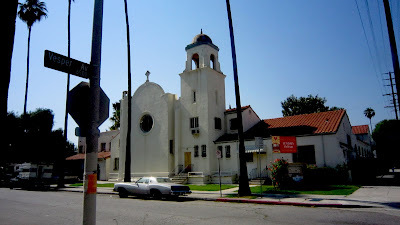 The church is located at the northwest corner of Haynes and Vesper Streets in Van Nuys. The Postcard is a gift to The Museum from Gary Fredburg and the photo below was taken for the archives of The Museum by Gerald Fecht in 2011. COME BY SAINT ELIZABETH'S SCHOOL TOMORROW, FRIDAY AUGUST 19th FOR THE BIG VAN NUYS CENTENNIAL CELEBRATION! Your Museum is honored to be part of the festivities.